Leicester City footballers have visited a Thai temple to pay their respects to Vichai Srivaddhanaprabha, the club's late owner. The popular billionaire was killed along with four other people when his helicopter crashed and burst into flames as it left the King Power Stadium on October 27th. 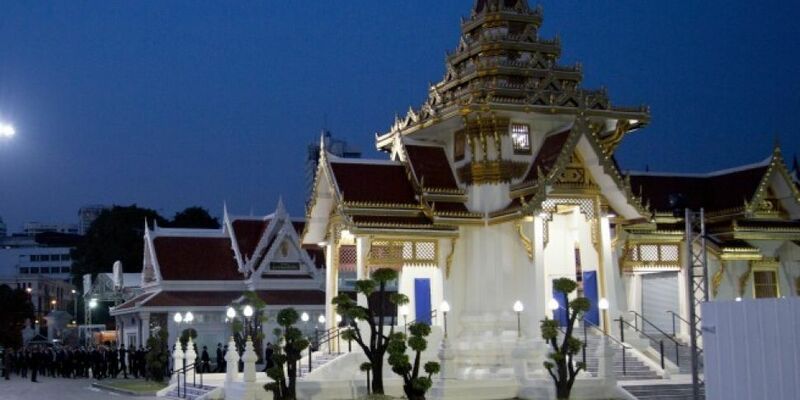 Leicester City manager Claude Puel led many of the club's star players - including England defender Harry Maguire, striker Jamie Vardy and goalkeeper Kasper Schmeichel - into the Buddhist temple in Bangkok on Sunday. The 60-year-old's funeral began behind closed doors on Saturday, and an official ceremony to mark his passing will last until November 9th. In total, about 40 representatives from the club travelled to Thailand.